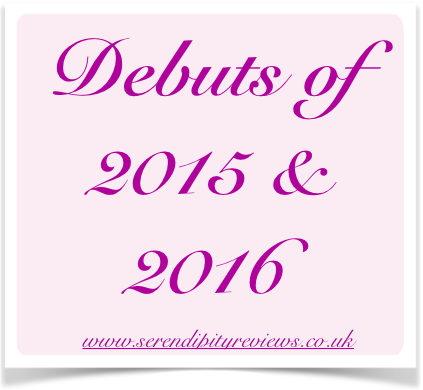 Day 5 already of the Debuts of 2016! Where is the time flying to? I am really enjoying hearing about the hopes and fears of our forthcoming debuts. Today I am pleased to welcome Olivia Levez as one of our featured authors of 2016. 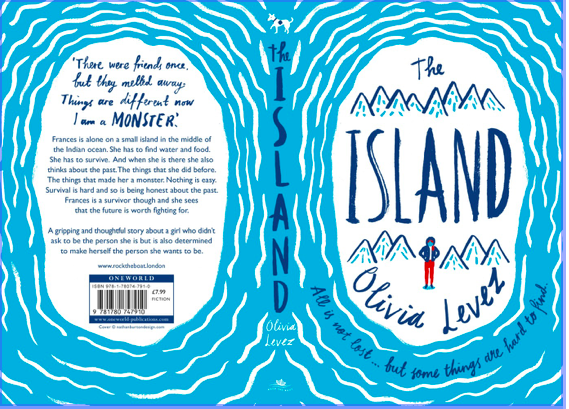 Olivia's book The Island is published in March by One World Publications. What did you do when you found out you were going to be published? I was at school, teaching 11YMI or 9XJU or 8YLE, all the while secretly listening for my phone buzzing from the drawer where I keep controlled assessments. My agent Clare was due to text me about book offers after an exciting day visiting publishers in London. Impossible to concentrate on Of Mice and Men or Macbeth or poetry analysis or learning objectives or success criteria or differentiation or where the heck I’d put the carrier bag containing that class’s exercise books. ‘Miss’ did her best, and kept darting back to her drawer if the class was one of those that could be trusted to get on without someone kicking off or falling off their chair accidentally-on-purpose. ‘No,’ I kept saying. ‘Not yet.’ All the time in the back of my mind wondering if the offer/advance would be significant enough to a) pay my mortgage off and b) get George Clarke from Amazing Spaces to come and build me a writing shed at the bottom of my garden. Okay, so I wasn’t going to be getting George in to build me a treehouse/gypsy caravan/hobbit hole any time soon, but here it was: a Real. Live. Offer. And then another. And another. Three from which to choose! This is where an agent comes in. Clare held out and negotiated to get me a little more money, and set a deadline for the final offers to come in. Definitely not skills I possess. My own children listened very nicely when I told them, and showed polite interest. After all, I’d had near misses with being published before, so it was more of a, ‘so, is it actually real this time, Mum?’ response. My friends at a theatre visit that evening bought me surprise prosecco when I told them, and I did feel fairly starry until a friend who arrived late thought I must be celebrating being pregnant! And then a wonderful weekend in London, having lunch with Clare whilst we decided which publisher to go with, and I stayed with my husband in a hotel opposite Fortnum and Mason, looking all over London and rereading the letters and offers. A text from Sarah Odedina, looking forward to working with me. Mostly, life stays the same: it’s still you, alone at your laptop, tapping away. Life continues as before. Work. Home. Writing. Work. Home. Writing. But there are occasional lovely perks: meeting bloggers at my publishers, Oneworld, in their gorgeous Georgian townhouse offices on Bloomsbury Street. (Even the word Bloomsbury always seems wonderfully literary and evocative.) Being given the opportunity to talk about my book to fellow book addicts, and listening to Sarah Odedina pitch my book so thoughtfully and skilfully, and thinking, there’s someone I am really glad is on my side. Lunch with Sarah O, discussing book Two, full of ideas and passion and enthusiasm. ‘This is my favourite part of working in publishing,’ she told me, stabbing at her egg with her fork. Increased Twitter action, when proofs are sent out, when the cover is revealed. An exciting photo from Frankfurt, seeing an enormous poster of my book placed next to other Oneworld books: Behavioural Economics Saved my Dog and the Booker Prize winner, A Brief History of Seven Killings by Marlon James. I have realised that copy edits give me nausea if I stare at them too long (I think I am actually allergic to them.) So every two hours, my little dog, Basil, is taken on yet another walk, much to his delight (he really likes copy edits). But mostly, life goes on as before. The buzz of reaching your ‘ultimate goal’ of being published soon settles into another goal of actually selling books. Bad reviews. Being tempted to obsessively trawl the internet, comparing myself with other authors. Not selling any books. Getting brain freeze with second book. School visits. 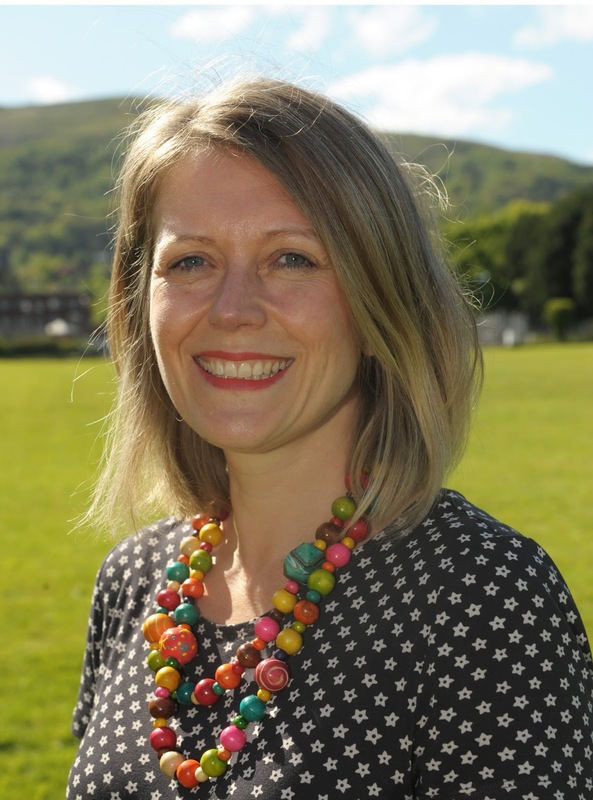 (Even though I’ve been a teacher for twenty years, talking to pupils about your own book instead of other people’s is like ripping your heart and guts out and leaving them out in the sun for birds to peck.) Assembled rows of sardonic eyes, coolly appraising, then stifling a yawn and nudging friends. Nobody coming to my launch party. Pressing ‘send’ and then finding a glaring error. Being too pushy. Not being pushy enough. Being invisible. Not being liked. ‘Always do what you’re afraid to do.’ I copied this motto from the wonderful book, We Were Liars, by E. Lockhart. I have a signed poster of it on my classroom wall, and it’s a great maxim for life. Richard Branson: ‘If someone offers you an amazing opportunity and you’re not sure you can do it, say yes and learn how to do it later.’ Another great maxim. Read Quiet, by Susan Cain. Feel the power of thoughtfulness, observation, listening skills, empathy, persistence, planning, patience. Lose the label ‘shy’ and reinvent yourself as a Quiet. Nearly all writers are secret Quiets. Even the ones who entertain children effortlessly, whilst dressed up as pirates, space crusaders, sea dwellers. Find your niche. Take Candy Gourlay’s advice and ‘be shiny’. Always act like an author. At SCBWI, you are not unpublished, you are prepublished. There is a difference. It’s all in the mindset. How do you act like an author? Have authorly habits. Write 1000 words a day, like Stephen King, or keep a dream diary like Will Self, or start a crit group (you only need one other person to make it successful, but 5 is ideal). If you are a teacher, start a writing club and give assemblies to ‘sell’ it to students, cunningly weaving in your own journey so far. Teachers, you are lucky; you are surrounded by your demographic. Keep all those rejection letters. Print them out and put on a nail (and later, a spike – see Stephen King again) because you will need those to refer to when you are rich and famous. To fail is part of every learning journey. Share your failures with kids at schools and with crit friends. Learn from feedback. If you get a personal response in an agent rejection, give yourself an air-punch. Remember that the slushpile is not a lottery. Despite its slithering layers that are 14000 high (or something), 70 % (I’m just making up figures here) will be from writers who are not SCBWI members/are not part of a crit group/are trying their luck/can’t write/wrong genre/age group/haven’t read the submission guidelines properly/are mad. Most people claim they want to write a novel. But only 5% actually do this. So, by being in that 5%, you have already proved yourself to have authorly skills of persistence, tenacity, resilience, stamina, patience, ambition, drive, willpower, and being completely anti-social for sustained periods. Keep going. Get beaten down. Pick yourself up. Keep going. And repeat. There is no time limit. You have all of your life. Be patient. Keep going. It will happen. Have you seen the book cover, and how did it make you feel? Nathan Burton, who designed The Island’s book jacket, used to work with Sarah O at Bloomsbury, and he did the iconic cover of Holes by Louis Sacher – the one with the lizard and the blue sky and the desert. He’s also designed covers for Patricia Highsmith’s novels, which is very exciting, as I adore her Ripley books. Sarah O showed me the jacket, and it was a really strange feeling, looking at another person’s vision and concept of your book. A sort of out of body experience. It has a fresh, naïve style and I think will really stand out on the shelves. It reminds me of contemporary YA books like Jandy Nelson’s I Give You the Sun or Non Pratt’s Trouble or Annabel Pitcher’s Ketchup Clouds. Everyone was adamant about it not having a girl’s photograph on the cover, to keep a more abstract feel. I like the simplicity of it, the artist’s mark-making and pared back style. The loneliness experienced by my castaway character, Fran, is represented by the scribbled-in mountains, and the framing of the island itself. The only thing we changed was the figure of the girl, to make her more edgy, and Sarah managed to add a little dog on the spine, which is adorable. 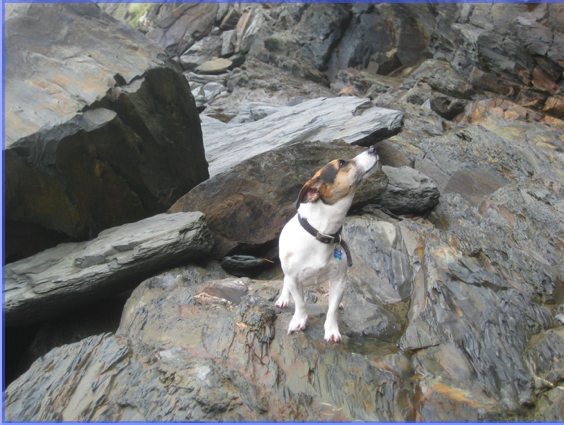 My own Jack Russell, Basil, agreed to model for this drawing, so I sent some photos of him (he’s seriously photogenic.) Oh, and I have a name with lots of Ls and Vs, which weren’t very clear in cursive script, so I asked if they could be separated a little, and changed to a darker colour, to make my name stand out. What a diva! My real little dog, and constant writing companion, Basil. Thank you Olivia for a most encouraging post. Good luck with your debut year.